Find us on twitter. Check often for offers available on our twitter page ONLY! 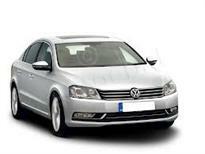 Car hire through Rent-Car-Greece in Romania, Russia, Yugoslavia and Poland! Thousands of convenient rent-a-car locations available for your convenience including the following: Athens (Greece), Crete: Iraklion (Heraklion), Hersonissos (Chersonissos), Malia, Chania, Rethymno, Aghios Nikolaos (Crete), Santorini, Mykonos (Myconos), Rhodes, Kos (Cos), Lesvos, Corfu, Samos, Zakynthos (Zante) and other popular destinations in the Greek islands, as well as Chalkidiki, Thessaloniki and other parts of mainland Greece. 2. Best Car Rental Prices! No hidden costs! We are proud to offer the lowest prices on car rentals in Greece. We dare you to compare our prices against any of our competitors'. Noone can offer the free options and services that we do at the same or lower price. Most of our competitors display a suspiciously low rate online which you come to find out (usually when it's too late) does not include sufficient coverage to protect you in case of an accident. Remember to always check the fine print when renting a car online with any company! There are no hidden costs or other "surprises" when renting through the Universal Rent-a-Car network. Planning and reserving a rental car for your next business trip or vacation travel couldn't be easier or cheaper! Universal-rent-a-car.com has worked hard to develop a secure, simple and convenient online reservation process to make your next car rental staightforward, quick and easy. Check out our Car Rental Specials in Greece and the Greek islands, where you will find the cheapest prices online anywhere! Local, regional, and international (Greece, Italy, England, Germany, Spain, etc.) car hire discounts as well as Members-only discounts! Through our network of providers you can always count on finding the lowest rates at any part of Greece or any Greek island. We are your best source of Internet car rental exclusives, daily, and weekly rental car specials with new cars from VW, Fiat, Nissan, Suzuki Toyota, and Subaru and with models ranging from subcompact, economy, mid sized rental cars, to larger air-conditioned luxury vehicles and 4-wheel drive (4x4) jeeps, ideal for jeep safaris throughout Greece. We offer one of the largest networks of independent car rental agencies in Greece and Europe. Get a quality vehicle at your chosen location without having to pay a premium price. Because of their lower operating costs and smaller overhead, independent car rental agents can charge 25-30% less than big multi-national companies. Universal Rent a Car has developed an exclusive network of independent car rental companies and can pass the savings and convenience on to you!